Just my simple analysis, we, I think need to know whether Mr Scott is left or right handed. 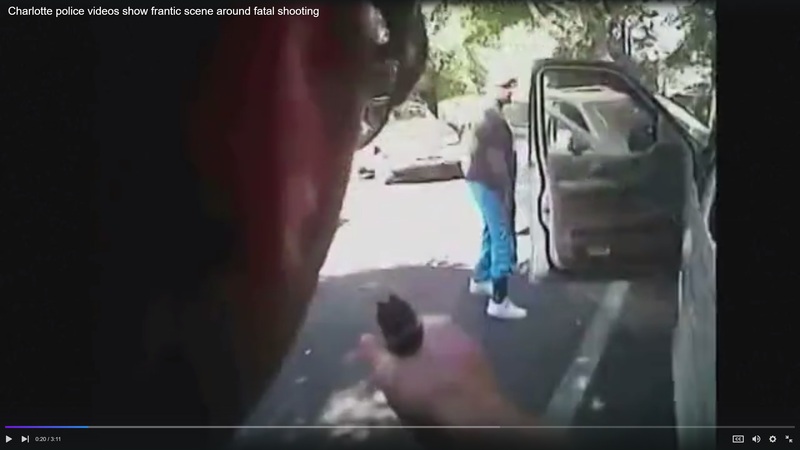 From picture above, his palm of his right hand looks straight down, means his right hand was not in position holding gun. He had TBI, backing back instead walking forward, and shot when both arms down. Charlotte Police Department or CPD has been so not cooperative in this matter, causing deeper problem. If they would have been open since the beginning, like what Tulsa PD did, this tragedy could have been dealt easier. We dont know what the warrant says? is the warrant really for Mr Scott? or The CPD got wrong person?? If they got nothing to hide, they would tell…..the longer this case unsolved, the more fishy and stinky can be.